When the next generation of Halletts assumed leadership of their family-owned insurance brokerage firm, they asked Supervox to better express who they were, and help realize their vision for where Hallett was heading. Next Hallett enlisted Supervox in the creation of an entirely new business: an online life insurance purchasing portal we called Quotacy. Supervox gave Hallett a new logo and bold tagline. 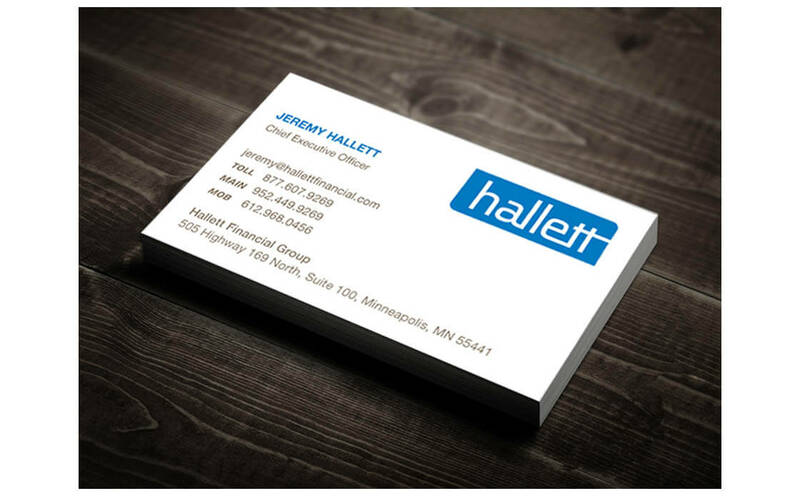 Business cards are just one part of a comprehensive business identity system Supervox created for Hallett. No stock photography here. Hallett highlights its biggest asset – its people – via original photography shot on location. 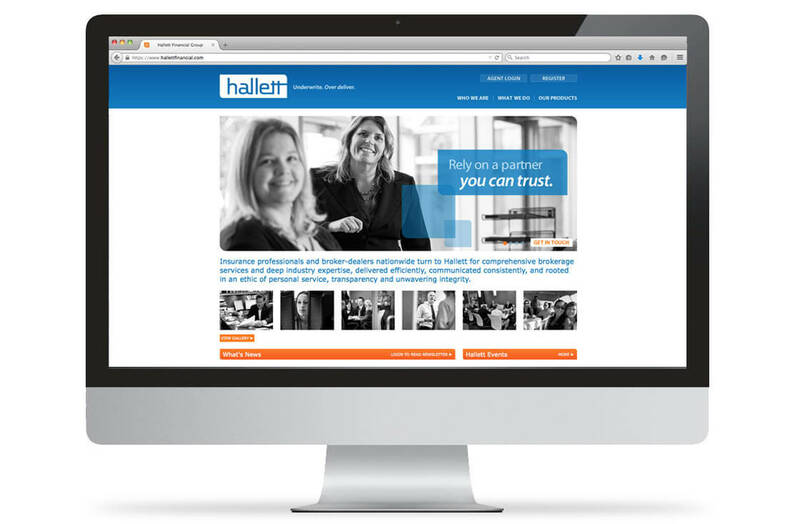 Hallett Financial Group decided to retain a local firm to design a new logo, brand, and website. We interviewed a number of companies but as soon as we met the folks at Supervox we knew it was a perfect fit. What we found was a fantastic, friendly group of people, each with their own unique talent. Their multiple skill sets presented the opportunity to work with them on different projects, and soon after our re-branding project was complete, we called them again with our idea of launching a new company under the Hallett umbrella. Once again, Supervox created something for us we could only dream of, and Quotacy.com was born. At this point I can’t imagine working with anyone else. They are our first call when we need something beautifully designed, built or written. A creative agency for ambitious brands, Supervox combines strategic, creative and digital expertise with rock-solid process to propel our clients forward.